In forex trading, there are a number of ways in which one can place an order to buy or sell. Quite often, as traders it can be get a bit confusing. What is the difference between a limit order and a stop order? Do you know when to use these orders? how is a buy stop different from a buy limit order? In this article, we take a look at the difference between a limit and stop order and how these can be used in trading. We give examples on the differences between buy stop vs. buy limit and explain how it works. But before we begin, the reason why we have the different types of orders are because they allow you to precisely tell the broker on how your order needs to be filled. Stop orders and limit orders are one of the basic order types which are used to fill the trades. These are also known as pending orders. If you have been trading, regardless of the type of markets, you will come across a pending order or a market order. A market order is where you would simply buy at the best available price in the market. This is when you do not really care about a specific price in the market. Traders use market orders when they are closely watching the charts and know where to enter the market. A pending order is usually when you want to buy or sell when price of an asset is at a particular price of your preference. A pending order can be placed if you are one of those traders who prefer set the entry price and walk away. With a pending order just as buy limit and a buy stop, you do not need to constantly monitor the charts. Therefore, pending orders are ideal when you can simply set the price at which you want to buy or sell and don’t have to keep watching the charts all the time. The first chart below shows an example of what happens when you switch to a pending order. A limit is defined as an order sent to your broker. It is the maximum or minimum price at which your order can be executed for a buy or a sell position. Limit orders are usually placed above the currency price when price is falling or below the currency price when price is rising. Depending on whether you want to buy or sell, the orders can be called as buy limit order or a sell limit order. The chart below describes the two types of limit orders. A buy limit order is when price is moving higher, but you expect price to retrace lower before it reverses direction again. Thus, in other words, a buy limit order is placed below the price. This is seen in the next chart below. Similar to the buy limit, a sell limit order is placed when price is falling, but you expect to see a retracement in price. A sell limit order is usually placed above the price. The next chart shows an example of a sell limit order. A stop order is a type of pending order that is executed only when price reaches a specific level. In other words, a stop order informs your broker to execute the trade when a certain price is reached. When the stop price is reached, it becomes a market order when the order has been filled. Depending on the direction of the trade, you can place a buy stop, or a sell stop order. A buy stop order is placed when you expect price to continuously move in one direction. A buy stop order is therefore placed above price. When you place a buy stop order, you expect that the price will continue to move past your buy stop order. The next chart shows a placement of a buy stop order. A sell stop order is placed when you expect price to fall and expect it to trigger your sell stop order and continue falling. A sell stop order is therefore, placed below the currency price. The basic premise is that when a sell stop order is triggered, you expect price to continue falling. The next chart below shows an example of a sell stop order. Now that we know what a limit order and stop order is, let’s take a look at some key differences between these types of pending market orders. In this section, we describe an example of a buy stop order. Let’s assume that the EURUSD is trading at 1.1050. You expect price to move to the next resistance level at 1.1100. However, you want to see price close above 1.1050. 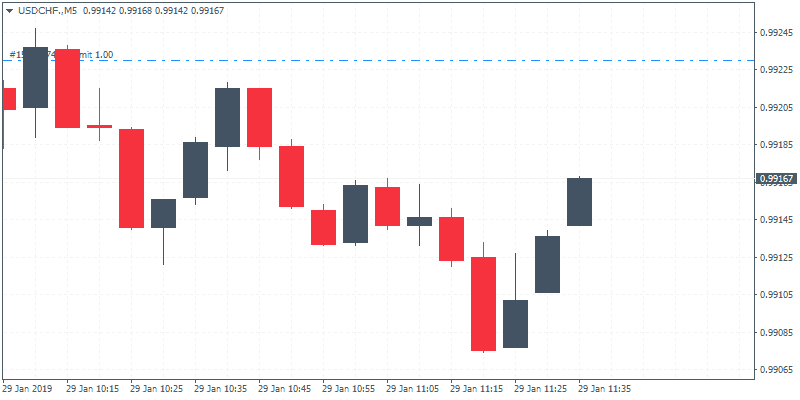 In this case, you can place a buy stop order at 1.1065, (15 pips above the market price) while set your sell limit order to 1.1100 (your target price). Your stops, which could be placed at 1.1000 becomes the sell stop order. In a but limit order example, assume that the EURUSD is trading at 1.1050. You expect price to test the lower support at 1.1000 but expect to see a reversal in the direction. Using a buy limit order, you would enter the market at 1.1000 with a sell stop at 1.1100. Your stops would come in at 1.0085, which becomes your sell stop order. In conclusion, we explained the different types of limit and stop orders that are widely used. In specific, we focused on the buy stop and the buy limit orders. These are the most common pending orders that are available. 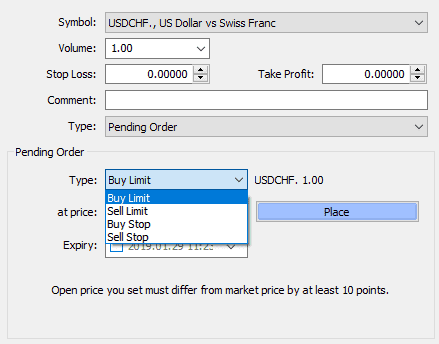 Using the buy stop and a but limit order, you can set the price at which you want to buy the asset. 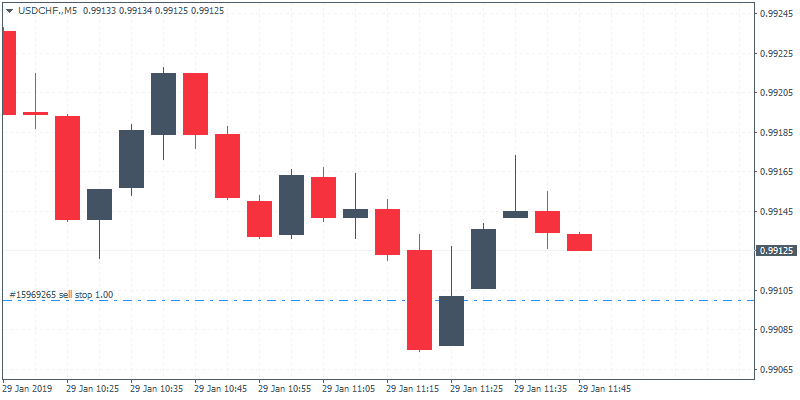 It should be noted that when using pending orders, many brokers have a minimum pips from the market price at which you can set such pending orders. Therefore, you should be careful in knowing these limits which can vary from one broker to another. A pending order such as buy limit and a buy stop are used almost every day. But they are very important. Having a good understanding about buy limit and buy stop orders is essential before you even start to build a trading strategy. If by mistake you end up setting a buy stop instead of a buy limit order, then there is a good chance that your trade might actually be triggered at market. 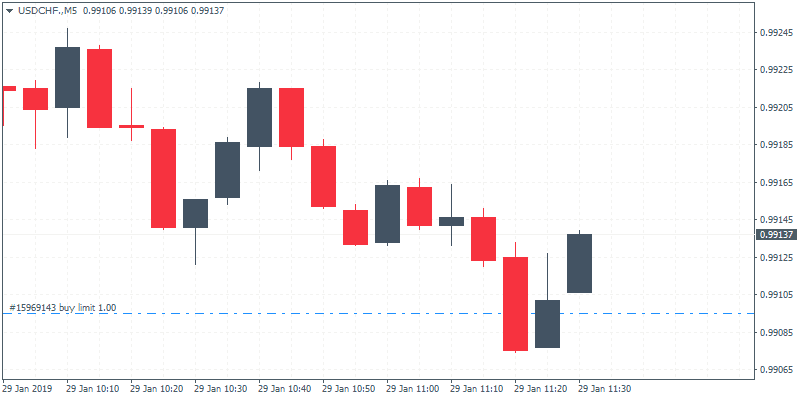 While trading platforms such as MT4 shows you details on the pending orders such as the buy stop and buy limit, many advanced trading platforms expect you to know the difference between the stop and limit orders already. 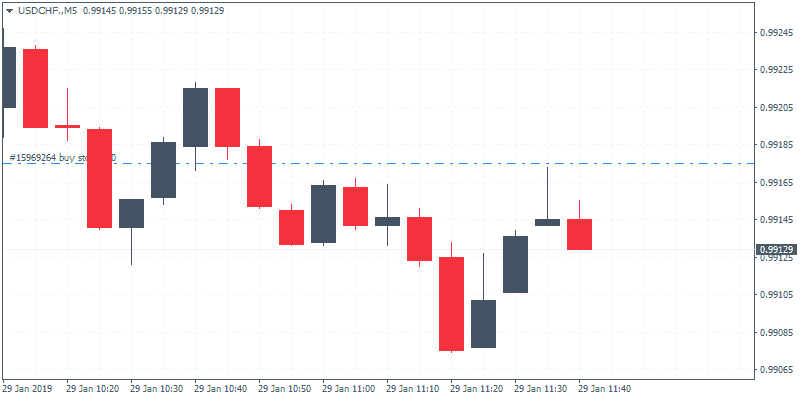 Depending on factors such as the market volatility and the direction, you can now place the appropriate buy stop or buy limit orders with ease.